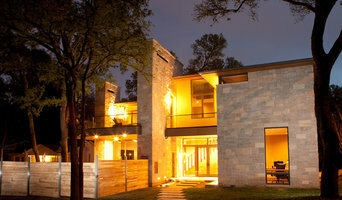 Melde Construction Company is an innovative residential builder serving Austin, TX and surrounding areas. We work with the finest Architects and Design Professionals with a focus on design driven renovations, additions, and new homes. The Melde team, lead by President & CEO Bernie Calcote, has more than 100 years of combined construction experience, with some members having 10 + years with Melde. Founder, Leon Melde, established the company in 1980 based around our core values of Integrity, Quality, and Craftsmanship that are still in place today. We strive to build a culture where others are always put first and the pursuit of Quality stretches from the homes we build to the lives we lead. We don’t take ourselves too seriously and love to have fun with each other and our project teams. We believe a successful project is best achieved through teamwork with the Client, Design Professionals, and the Builder. We also take pride in developing innovative building techniques needed to produce the best possible project for whatever the budget. The cornerstones of Melde Construction Company are high quality craftsmanship and incomparable customer service. We believe a successful project is best achieved through teamwork with the Client, Design Professionals, and the Builder. We also take pride in developing innovative building techniques needed to produce the best possible project for whatever the budget. The cornerstones of Melde Construction Company are high quality craftsmanship and incomparable customer service. 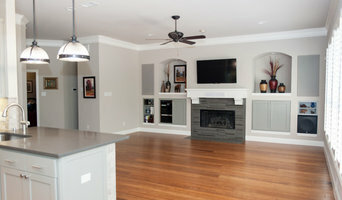 Harvest Builders has nearly 30 years of experience in custom home building. Now specializing in home renovation and remodeling, we bring a wealth of experience to your project. We pride ourselves in building relationships one project at a time! *Authorized Napoleon Dealer* Fireplace Experts to Luxury Design Specialists Churchill’s Fireside & Patio was first established in 1988. We dedicate ourselves to providing the greater Austin area with outstanding customer service, truly valuing everyone who walks through the doors. Whether you are here to purchase a $2.00 lighter, or a $2000 fireplace, each customer is treated with respect and dignity. Churchills prides itself on honest and ethical business practices. We want to give every customer the perfect solution to their questions, assuring that they leave the store feeling enriched and valued. 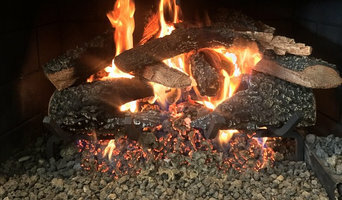 From fireplaces, firepits, gas logs, heaters, and fireplace accessories; to numerous styles of outdoor furniture, Churchills only represents the highest quality and most respected brands available. Come visit our showroom, where only the best will do! Trust RGI to provide the construction services your business or family needs at a quality above, and price far below, what you'd expect. With over 15 years experience serving the Greater Austin area, our locally owned business treats its customers like family, ensuring satisfaction without surprises or compromises. Experience the RGI difference today with a free on-site consultation. From planning and estimating to installation and cleanup, no detail is overlooked by Raul Garza and his select team of craftsmen. Confluence, balance, and placement are each painstakingly considered, with the time and effort taken that sets our work apart from competitors. Whether you are remodeling a single room or considering a full addition, let Raul personally walk you through all the exciting possibilities during a free consultation. With over 15 years experience in the construction trades, our vision is truly what sets our service apart. We stand behind our work with guaranteed quotes and extensive warranties! Established in 2003, Tovar Construction specializes in commercial & residential renovations. We provide quality services and valuable expertise. Tovar Construction offers competitive pricing, one-on-one consultations and versatility in construction management to meet the needs of our clients. To find out more about our company visit our website. We're an Austin-based general contracting company with a solid team of site supervisors and contractors. Waller Building Co. partners with architects and homeowners to achieve our client's goals. We believe in open and honest communication with our clients and partners. Revent Remodeling and Construction is made up of a team of professionals, family men, who are known for being trustworthy, reliable, highly-skilled, and approachable. Fully licensed and insured, with decades of experience, our accommodating staff are always available to address any questions or concerns during your project. Whether you’re remodeling a kitchen, bathroom, or your whole house, you can benefit from interacting directly with our knowledgeable, caring, and friendly staff. We're excited to discuss your project with you. We offer free estimates and want to make sure we’re the right fit for your project. Please feel free to reach out to us. You can fill out the form below, send us a message or just give us a call. A REVENT representative will be in touch with you as soon as possible. Building Brands Construction, LLC. is a general contracting company with over 20 years experience in independent contracting services. We specialize in both commercial & residential projects, offering high quality skills in the areas of HVAC, Painting, Drywall, Framing, Facility Maintenance, etc....Our fair & honest values allow us to complete projects of all sizes with unparalleled efficiency & precision. We pride ourselves on our unbeatable service standards by delivering the highest level of professionalism, quality, & integrity to ensure that we exceed your project expectations from start to finish. Proudly serving all of Central Texas & surrounding areas. 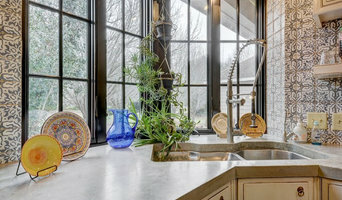 We are Aluxa Homes ATX , Central Texas' own luxury custom home builder.